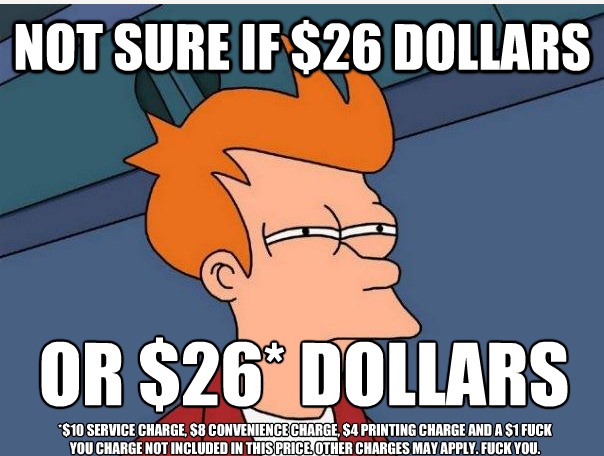 Home Society US Hospitals FINALLY Forced to Post Prices Online! 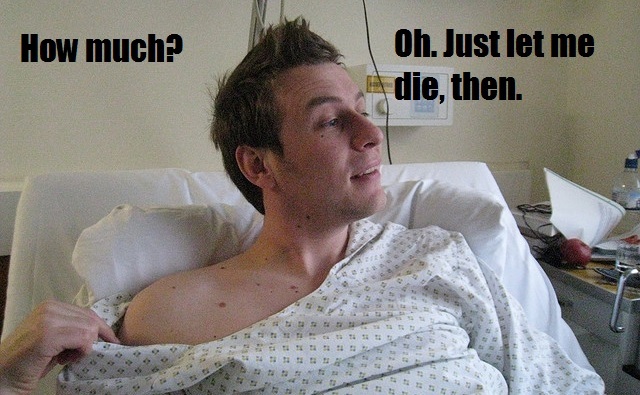 US Hospitals FINALLY Forced to Post Prices Online! Astronomical hospital bills are a trope of American health care. Hospitals in the US are known for charging exorbitant fees for simple procedures, and for adding baffling entries to discharge bills. Notorious examples include the woman who was charged $40 to hold her newborn, and the $18,000 emergency-rom bill that a family received after their baby was “treated” with some milk and a nap. The idea that competition will take care of America’s health care costs has often been pushed by conservatives, but the new regulation does nothing to set or limit prices themselves. Patients will be hard pressed to discern whether a hospital’s price is fair, and listed prices won’t be indicative of what’s covered by insurance. There's always the loop hole that makes you feel pessimistic again! I like to think of that last line in terms of buying a ticket on Alaska Air from Ketchikan to Seattle. Let's say you are browsing and find a great deal at $149. Then you press the button to pick your seat and all the chairs are full so you have to buy the middle class row that now charges an additional $19 to 'upgrade'. Fine, you go on to the next screen and it's asking you for luggage protection for $39 and of course you select yes and by the time you are done, your airfare to Seattle is now $207 and NOT quite the deal you originally began the transactions with. This is the same concept with the hospital prices! You get your base price with these fun **asterisks** and on fine print it says, we will charge you an arm and a leg, should we have to amputate said arm and leg we will take your first born child's toys and watch 'em cry as you struggle to get out of bed with your missing limbs. 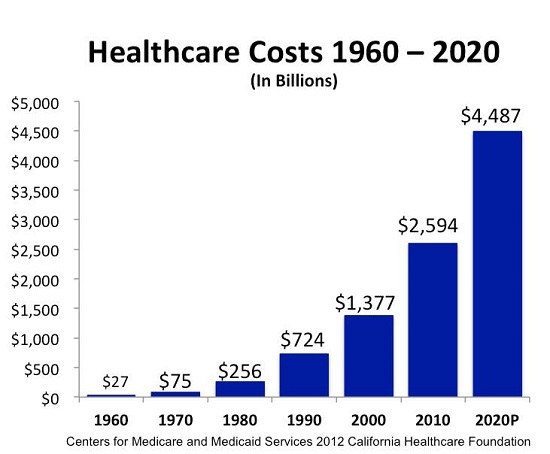 The only thing worse than the skyrocketing costs of healthcare is the skyrocketing costs of college and if you are like me you are always curious at what the root causes are for the increase in costs. Another major difference in health costs between the U.S. and every other developed nation is the cost of drugs. In most countries, the government negotiates drug prices with the drug makers, but when Congress created Medicare Part D, it specifically denied Medicare the right to use its power to negotiate drug prices. The Veteran's Administration and Medicaid, which can negotiate drug prices, pay the lowest drug prices. The Congressional Budget Office has found that just by giving the low-income beneficiaries of Medicare Part D the same discount Medicaid recipients get, the federal government would save $116 billion over 10 years. Think of what the savings might be if all Medicare recipients could benefit from Medicaid-negotiated drug prices. Yet another big driver of the higher U.S. health insurance bill is the practice of defensive medicine. Doctors are afraid they will get sued, so they order multiple tests even when they are certain they know what the diagnosis is. A 2010 Gallup survey estimated that $650 billion annually could be attributed to defensive medicine. Everyone pays the bill on this with higher insurance premiums, co-pays, and out-of-pocket costs, as well as taxes that go toward paying for governmental healthcare programs. 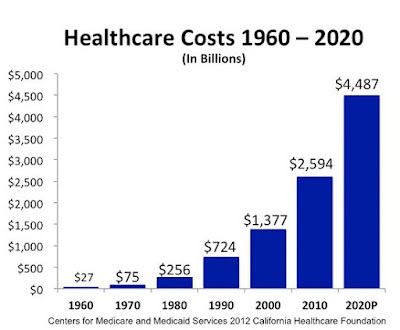 Wages and staffing also drive up costs in healthcare. Specialists are commanding high reimbursements, and the over-utilization of specialists through the current process of referral decision-making drives health costs even higher. The National Commission on Physician Payment Reform was the first step toward fixing the problem; based on its 2013 report, the commission adopted 12 recommendations for changes to get control over physician pay. The Commission has gone on to work with Congress to find a way to implement some of these recommendations, although tangible policy outcomes have not yet followed. Did You Know that the REASON why Doctors Work Such Long Hours is Because the "Father of Modern Surgery" Was a Morphine Addict! That's right the reason why Doctors are over-worked is because one man had a drug addiction and couldn't sleep and forced everyone for the next 100 years to stay up un-godly hours. 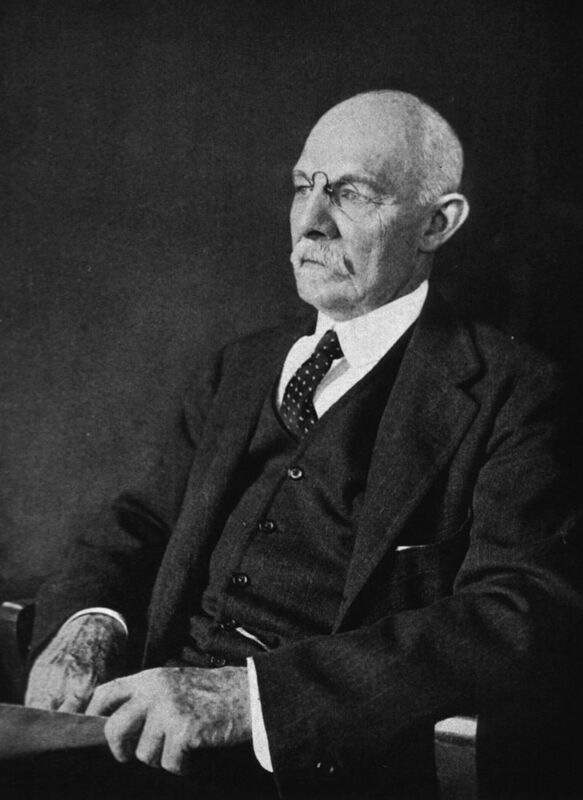 Perhaps the most remarkable case was that of Dr. William Stewart Halsted (1852-1922), one of the greatest of American surgeons. Halsted, the scion of a distinguished New York family, and captain of the Yale football team, entered the practice of medicine in New York in the 1870s and soon became one of the promising young surgeons of the city. Interested in research as well as in performing operations, he was among the first to experiment with cocaine-a stimulant drug similar to our modern amphetamines (see Part V). With a small group of associates, Halsted discovered that cocaine injected near a nerve produces local anesthesia in the area served by that nerve. This was the first local anesthetic, and its discovery was a major contribution to surgery. Unfortunately, Halsted had also injected cocaine into himself numerous times. "Cocaine hunger fastened its dreadful hold on him," Sir Wilder Penfield, another famed surgeon, later noted. "He tried to carry on. But a confused and unworthy period of medical practice ensued. Finally he vanished from the world he had known. Months later he returned to New York but, somehow, the brilliant and gay extrovert seemed brilliant and gay no longer." In 1969, however, on the occasion of the eightieth anniversary of the opening of the Johns Hopkins Hospital, a "small black book closed with a lock and key of silver" 2 was opened for the first time. This book contained the "secret history" of the Hopkins written by another of its four eminent founders, Sir William Osler. Sir William revealed that Halsted had cured his cocaine habit by turning to morphine. Thus Halsted was a morphine addict at the age of thirty-four, when Welch invited him in 1886 to join the distinguished group then laying the foundations for what was soon to become the country's most distinguished medical school. Welch knew, of course, of Halsted's addiction, and therefore gave him only a minor appointment at first. Halsted, however, did so brilliantly that he was soon made chief of surgery and thus joined Osler, Welch, and Billings as one of the Hopkins "Big Four." Halsted's skill and ingenuity as a surgeon during his years of addiction to morphine earned him national and international renown. For Lister's concept of antisepsis--- measures to kill germs in operation wounds Halsted substituted asepsis: measures to keep germs out of the wound in the first place. In this and other ways, he pioneered techniques for minimizing the damage done to delicate tissues during an operation. Precision became his surgical trademark. A British surgeon, Lord Moynihan, admiringly described the Halsted technique at the operating table as one of "frequently light, swift, sparing movements with the sharpest of knives, instead of free, heavy-handed deep cutting; of no hemorrhage or the minimum of hemorrhage instead of the severance of many vessels, each bleeding freely until clipped ." 4 For pioneering improvements such as these, Halsted became widely known as "the father of modern surgery." In 1898, at the age of forty-six, Osler's secret history notes, Halsted reduced his daily morphine to a grain and a half (90 milligrams) a day. Thereafter the surviving record is silent--- though Osler in 1912 expressed a hope that Halsted had "possibly" given up morphine. 5 Halsted died in 1922, at the age of seventy and at the pinnacle of his exacting profession, following a surgical operation. He remained in good health, active, esteemed, and in all probability addicted, until the end. This is why I don't trust doctors or politicians or health experts. HALF of EVERYTHING they have ever been taught was based on some kind of lie or hidden agenda and will be disproved every 7 years. The half-life of medical knowledge is approximated at seven years. That means that half of what you think you know about health, illness, and medical practice today will be obsolete in seven years. It will be replaced by new better science of which, in turn, half will be obsolete seven years later. That's how it works. Skepticism about current knowledge is always appropriate. The cholesterol panic is just the most recent, dramatic example. Big mistake. Not all docs have got the memo yet. "Never mind." Eat those eggs and bacon and sausages like you always wanted to, and skip the darn oatmeal unless it's all you can afford. And imagine that, in seven years, Mr. Science will tell you to eat candy and Dunkin Donuts for breakfast. Our tummies might be smarter than today's science. Who knows? I love deep-fat fried donuts (not at Dunkin) and French Toast. Doesn't everybody? Point is, the problems in Healthcare (and this country) aren't just one thing to solve, we are in a systemic crisis. If you like this article please, please share with your friends and help share this blog! Also subscribe by email and make sure to not miss a single post!